Eliza Jane, the sixth child of John & Eliza Taylor, was born on October 3, 1840 in Winston County. 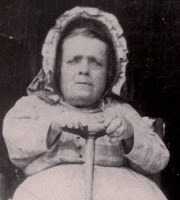 Her name first appears on a census record in 1850, where she is listed as 11 years old. In birth order, Eliza was sixth out of nine siblings. At the age of 18 she married Benjamin Franklin Curtis, son of Solomon and Charlotte "Lotty" (Heaton) Curtis. Her groom, born on October 15, 1835 in Itawamba County, Mississippi, was 23 years old. Their marriage was performed in 1858, about four years before very turbulent times in Winston county broke out due to the Civil War. 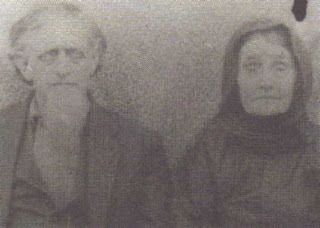 Both Eliza's father, John, and father-in-law, Solomon, played significant roles in the leadership of Winston County's early history. Eliza's husband, Benjamin Franklin, became known as "Uncle Frank" around town. Frank was the brother of three Winston County men who were murdered by Confederates during the civil war conflict: George Washington Curtis, Joel Jackson Curtis and Thomas Pinkney Curtis. Benjamin Franklin's testimony as to his Union sentiments, and the fate of his brothers, can be found in several historical accounts and Southern Claims Commission files for Winston County citizens. Frank died on September 13, 1927--leaving Eliza a widow for the last 6 years of her life. Both Eiza and Frank are buried at Curtis Cemetery, Winston County, Alabama. We regret to announce the death of perhaps Winston County's oldest and most notable citizen. Mr. Frank Curtis, the aged father of Judge J. J. Curtis of Jasper and Judge J. S. Curtis, of Double Springs who passed away on Monday at the age of 93 and was buried on Tuesday. For the last few years "Uncle Frank" has not been able to get around much but his smiling face and humorous talks used to be enjoyed by all who met him. He is the last of several brothers who playd leading parts in the history of Winston County. He was a typical example of the hill countries of the South, hardy and independent, of pure Anglo-Saxon blood. Mrs. Eliza Curtis, widow of the late Uncle Frank Curtis, died at her home near Rock Creek Tuesday night. 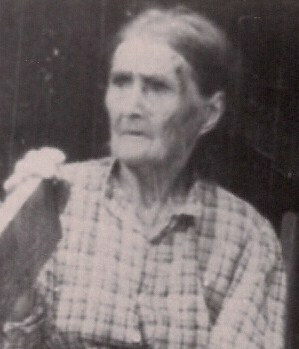 She was 92 years of age at the time of her death, and was probably the oldest person in the county. She was unusally active for her age until about five months ago, when she suffered a stroke of paralysis. Funeral services were conducted by Rev. Jere Burns Wednesday and the remains were buried in the Curtis Cemetery. Deceased is survived by three sons, Judge John S. Curtis and Charles A. Curtis, of Double Springs; and Judge James J. Curtis, of Jasper; two daughters, Miss Amelia Curtis of Double Springs, and Mrs. Mary Steele of Hartford, Arkansas. Photos below, given to Joann Holdbrooks by the late Bettye Steele Watters, are two of Eliza's daughters.